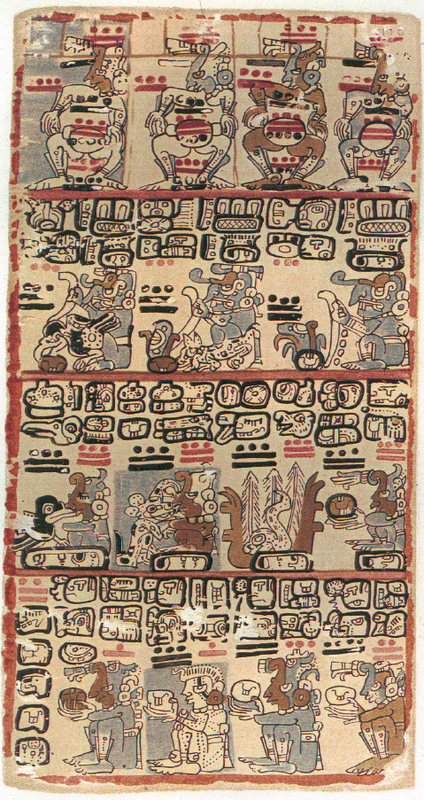 In 1880, Léon de Rosny figured out that the two extant parts of the Tro-Cortesianus Codex (also know as the Madrid Codex) were a single codex and Spaniards were very lucky to have one of the most important codices of the Maya civilization because it’s the longest of the surviving Maya codices. The Museo Arqueologico Nacional acquired it from book-collector José Ignacio Miró in 1872 who had purchased it in the Spanish region called Extremadura a few years before. 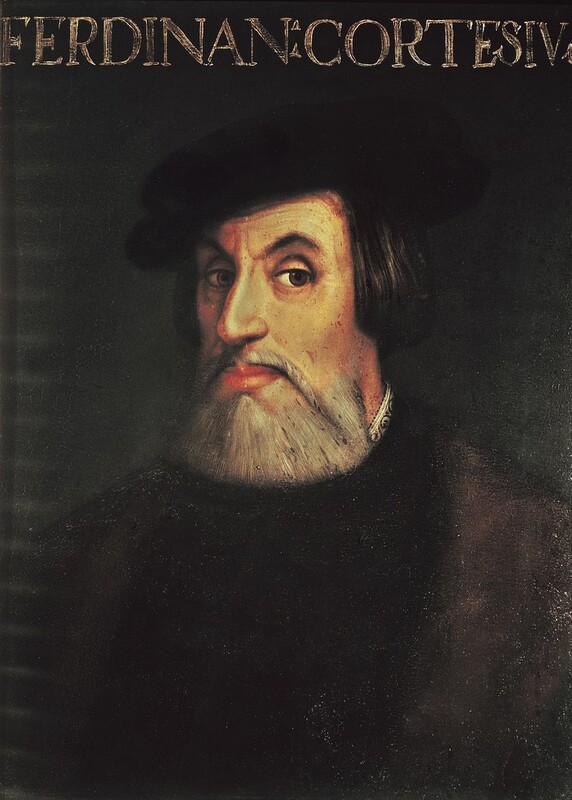 The director of the Museum decided to name the Cortesianus Codex after Hernán Cortés (Medellín, 1485 – Castilleja de la Cuesta, 1547) supposing that he had brought the codex to Extremadura. 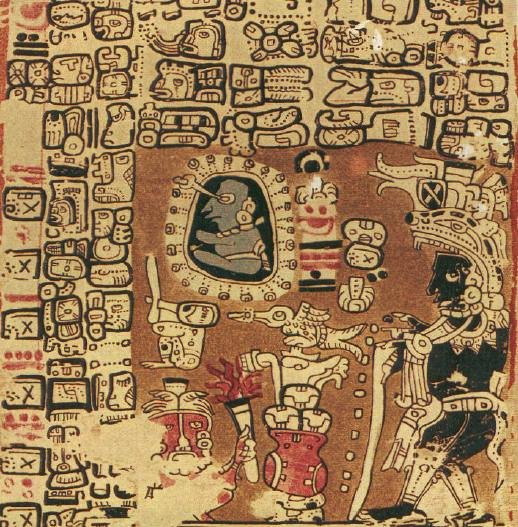 The Codex is dated in the period 1250-1500 and it consists in 56 sheets painted on both sides to produce a total of 112 pages. Each page measures roughly 23.2 by 12.2 centimetres (9.1 by 4.8 in). The content consists of horoscopes, astronomical tables and almanacs used by the priests in the performance of their ceremonies and rituals. 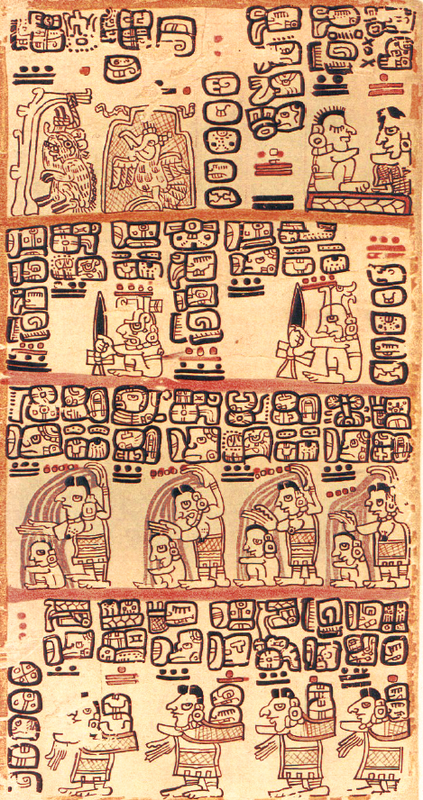 The Mayans reached a precise idea of the movements of the Sun, the Moon and the planets and they estimated at 584 days the synodic revolution of Venus (the cycle is really equal to 583,92 days). They also realized that the solar year consisted of approximately 365,242 days. So the synchronization error between the Venus cycle, the solar year and the liturgical year was only one day every 6,000 years! The page is divided in four images and in the lower one we can see numbers 3, 7, 11, 8, 6, 8, 13 and 1. Now you can explore the other parts and say which numbers are in each one! 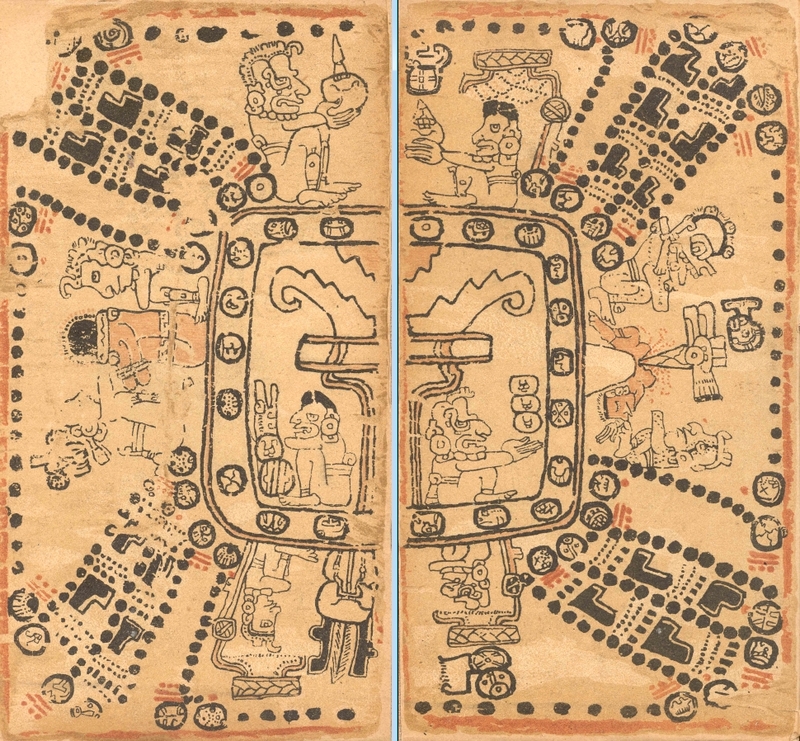 Finally, we can talk about the Mayan calendar from two pages of the codex and the representation of some Mayan numbers and the famous glyphs. We can see in the middle of the picture a torch inside a square decorated with the 20 glyphs corresponding to the fundamental set of 20 successive days: Imix, Kimi, Chuwen, Kib, Ik, Manik, Eb, Kaban, Akbal, Lamat, Ben, Etsnab, Kan, Muluc, Ix, Kawak, Chikchan, Ok, Men and Ahaw. In the liturgical calendar, the 20 days used to be also related to the 13 first natural numbers in a cyclical period. Firstly, the first day was related to 1, the second to 2, the third to 3,… and the thirteenth to 13. Then, the fourteenth was related to 1 again, the fifteenth to 2,… and the twentieth to 7. The first day of the second cycle was related to 8 and so on. After 13 complete cycles (= 13 · 20 days = 260 days) the first day of the cycle was related to 1 again. Outside the square, the upper section of the picture represents the East (Lakin), the right part is the North (Xaman), the left part is the South (Nokhol) and the lower part is the West (Chikin). We can see perfectly five pairs of glyphs representing the days in each of the four corners and there also are 20 sets of 13 points representing the different cycles of the Mayan calendar. All the glyphs have the number 1 or the number 13 with them. So we are reading a Mayan liturgical calendar through the 260 points representing the 260 days!